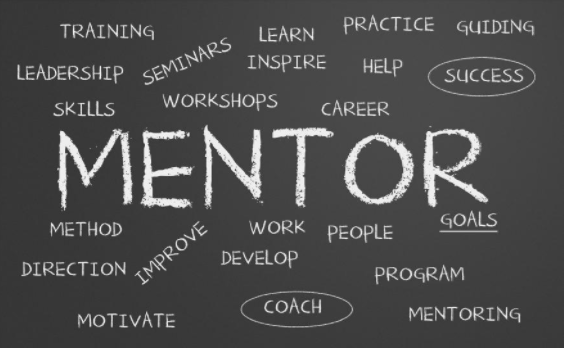 Oh, mentors…it sounds so mystic and far away from us, right? But once you are in, and by “in” I mean ready to dive in the entrepreneur world, or starting your own personal brand or project, you start understanding that you may need one of those in your life. A mentor is someone who serves as a guide, provides support and motivation to help you achieve your goals. A mentor is someone that previously has walked the path that now we want to walk, and this is one of the most distinctive features when it comes to choosing a mentor. Knowing this, you may be wondering: why exactly do I need a mentor? There’s a lot of reasons why someone needs a mentor to success. I’ll summarize for you the most important ones that you should take into consideration when it comes to choosing a mentor. A mentor will help you to keep focus. In the short term, the mentorship will help you define actions and learn practical knowledge that no book can offer you. For example, the National Network of Mentors, one of the biggest in Boston, only have advisors that once were entrepreneurs, so from their experience, they will know which path you shouldn’t take. View other perspectives. This not only will help you to solve problems but also identify business opportunities that you may not have seen before. Also, you will need to find investors and partners. This will help you learn one of the most important things about being an entrepreneur – how to easily explain the advantage of using your company – with effectiveness and conviction. It’s no secret that today the world revolves around social media. According to Daniel Sparks, a Senior Technology Specialist at The Motley Fool (one of the most important multimedia financial-services company), the top social networks -Facebook, WhatsApp, Messenger, and Youtube- have over a 1 billion users. There are so many (and let’s face it, we have a profile in basically every one of them), that after they blew up, we needed to create a platform to manage them all. So now we have social media and we also have a number of tools to manage them. People run their businesses on social media, and also the people who will help you run your business it’s available in social media. (This is in millions of users by the way). Chart from: Top 10 Social Networks: How many users are on each? You have the opportunity of reaching hundreds and thousands around the globe. You can target the people you follow and the people following you. You can do it by type of business, location, language, expertise, etc. It’s free or at a very low cost. Almost every social network is free, and the few options that aren’t, are very accessible. Social Media allows you to connect on a personal basis with whoever you want. This is how you can find and connect with experts in different fields that may serve you as a mentor. You can find not only mentors in social media but also a number of people that may have experience in your same area of business and you can follow them or connect with them for their expertise, advice, and valuable content in their profiles and pages. One way you can start doing this is by using the powerful tool of DM’s to contact the people you need or want to. Gary Vaynerchuck, serial entrepreneur and CEO and co-founder of VaynerMedia, said “Instagram DM (Direct Message) is the single biggest networking or business development opportunity of this decade”, and he is just right. You can also go here and find his step-by-step article about how to work the DM. Pros: since Facebook is one of the most popular networks, and people usually interact with the brands they like, it’s very probable that they will see your message and won’t be surprised that someone from a company or brand it’s reaching out. Cons: SocialMediaToday explains that “in spite of the prevalence of businesses on Facebook, it is still mainly a site people use to unwind. They want to talk with their friends, look at pictures, and play games”, so this may be a reason they don’t pay as much attention to your message like you would like them to. Pros: As a long as you follow the person, and they follow you, you can send them as many messages as you want for free. It’s very common for a sales rep to contact potential customers through Twitter, and if you do it at scale and to the right target, you may get a surprising amount of positive replies. Cons: Cut to the chase! Twitter only allows you a space of 140 characters, so you better prepare your message to be very powerful, direct, and to the point. Pros: LinkedIn was created for business and networking, so people won’t be surprised or bothered at all to receive your message there. SocialMediaToday explains that “B2B marketers can especially benefit from direct messaging through LinkedIn because LinkedIn guarantees an answer to any InMail sent. If you don’t receive a response, you get your messaging credit back”, so you may as well try it. Cons: If you are not a Premium member, you might be limited as to who you can send a direct message to. So you better choose your target well and make it a good message. The good news is that this will help you focus and make you more effective when finding your target audience. If you are starting your personal project, you will need advice and guidance, and you can find it on social media if you do it right. You can use Facebook to promote your project to “fans”, Twitter to send mass messages, and LinkedIn to contact potential business partners and experts. Most importantly, you have the unique business opportunity of our generation, to use these tools to also find a mentor or someone with more experience than you in your field that will guide you to make the most accurate moves.